A week-long campaign which aims to highlight the importance of mental health for those who work in the farming industry has been launched. Hoping to tackle the issue, the Farm Safety Foundation’s 'Mind Your Head' campaign, launched on Monday (11 February), takes place from 11-15 February to raise awareness. 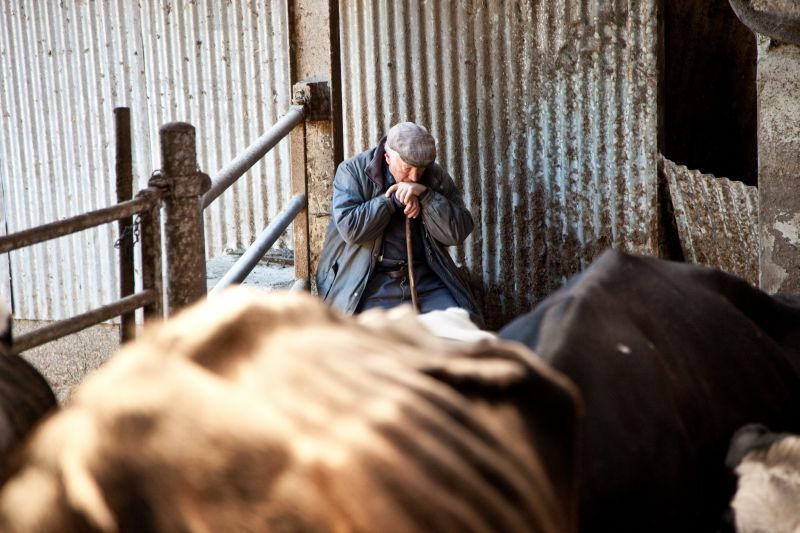 There are a number of mental health risk factors associated with agriculture. Farmers work long hours, often in isolation, and they can be under significant financial pressure, often required to take on significant debt just to purchase the land and equipment required to operate. The Farm Safety Foundation is now asking the farming community to 'Mind Your Head' with a campaign to raise awareness and tackle the stigma of this growing issue in farming. Throughout the week, the farming charity will bring together key people, organisations and other charities to raise awareness of the issue and build a community of support for those affected. One person who has offered his support for the campaign is Jonathan Glen, a young farmer and student at Harper Adams University. At 18 years of age, Jonathan left his home, family and friends to travel to New Zealand to work on a 200 hectare dairy farm managing a herd of 600. Within weeks, and at the height of milk production, Jonathan was left in charge of the herd and soon realised that he was quite depressed. The situation was compounded by the isolation he felt on a farm in the middle of nowhere with no family or close friends nearby. However, Jonathan was able to recognise his depression from similar symptoms experienced by a friend who showed him there was a way to deal with it through self-help, simply by talking to others. On his return to the UK, he enrolled at Harper Adams University and recently undertook a massive challenge, driving 15,000km to Mongolia in a Mazda MX5 to raise money for the charity Farming Community Network (FCN). Stephanie Berkeley, who leads the Farm Safety Foundation, said: “Farmer health and wellbeing can not, and should not, be ignored - by any of us. Simply pretending the issue does not exist or has no impact on the industry is not acceptable. She added: “In previous times of stress such as the BSE crisis in 1986 and the outbreak of Foot and Mouth in 2001, there was a sharp increase in the number of farmer suicides as farm incomes declined. The Farm Safety Foundation, set up in 2013, works closely with farmers with agricultural safety and mental health matters.